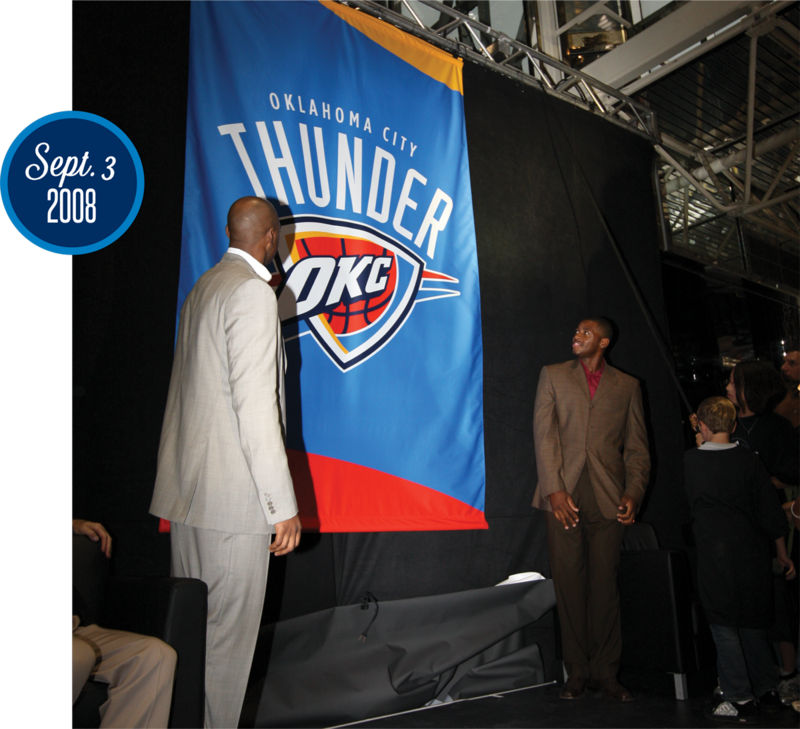 Ten seasons of Thunder Basketball are complete, with each one providing multiple events that helped strengthen the foundation. Their inclusion in our list might be debatable, but their significance to our timeline is undeniable. 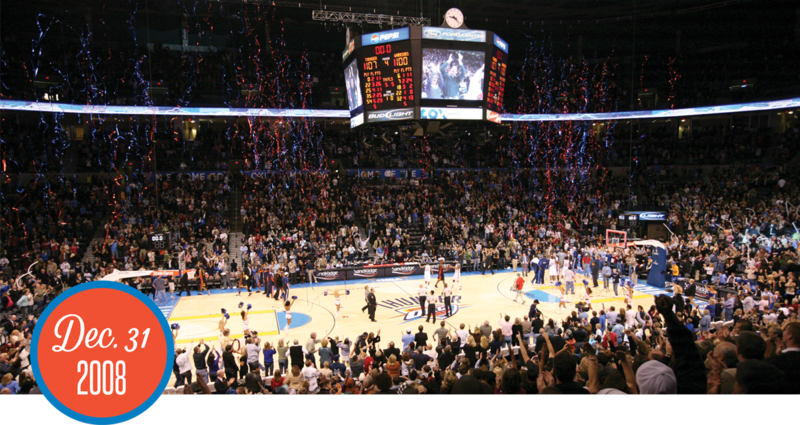 The Thunder defeats the Golden State Warriors, 107-100, to win its first of 10 New Year’s Eve games in Oklahoma City. The Thunder entered the game with a 3-29 record, but would finish the season 20-30, including a 7-7 record in January. 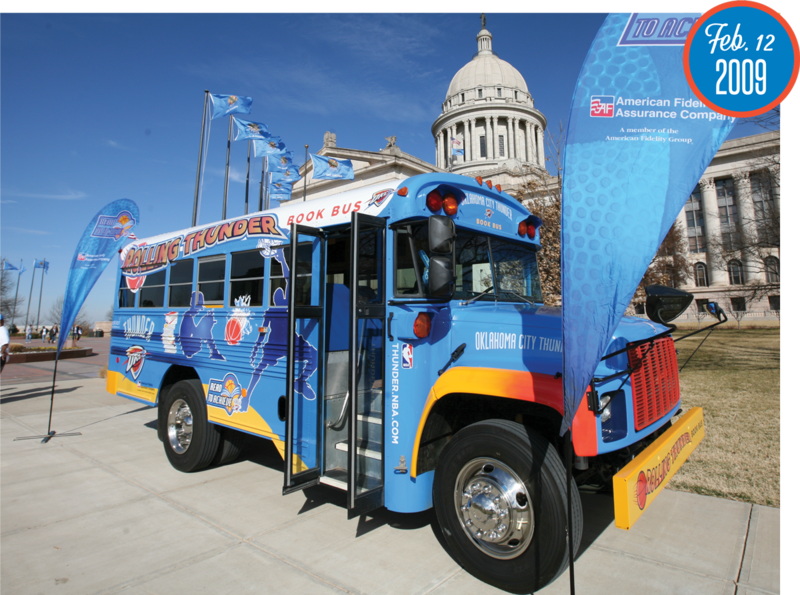 Counting that NYE win, the Thunder has amassed a 486-286 regular-season record since then, and has made eight playoff appearances, advancing to four Western Conference Finals and a trip to the 2012 NBA Finals. Despite a 95-94 loss in Game 6 of its first-round series to the defending and eventual back-to-back NBA champion Los Angeles Lakers, Thunder fans stayed in their seats several minutes after the final buzzer to applaud the team as it left the court. "We fought so hard as a team," Russell Westbrook said after the loss. "All of us. We feel we can take that next step." 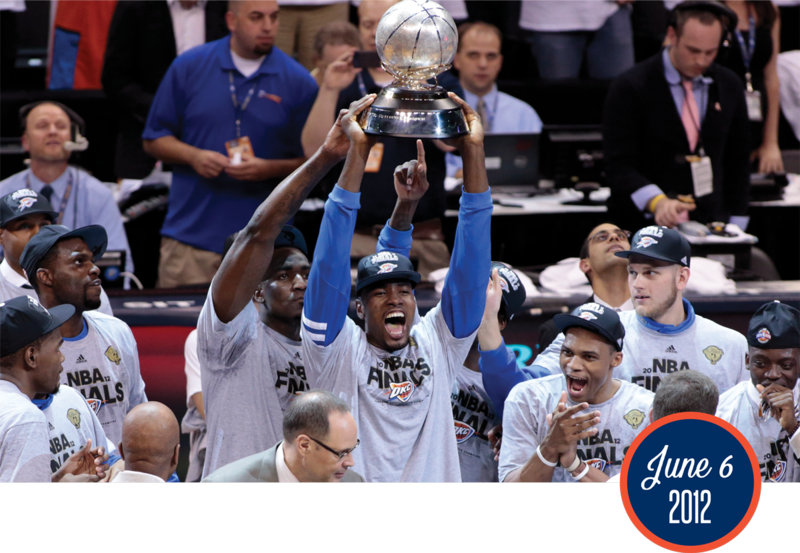 Two seasons later, the Thunder would defeat the Lakers in the second round en route to the 2012 NBA Finals. The Thunder defeats the San Antonio Spurs in front of its home fans in Game 6 of the Western Conference Finals. The Spurs had won 20 consecutive games (10 in regular season, 10 in the playoffs) in building a 2-0 series lead before the Thunder reeled off four straight wins by an average of 9.75 points to advance to the NBA Finals. 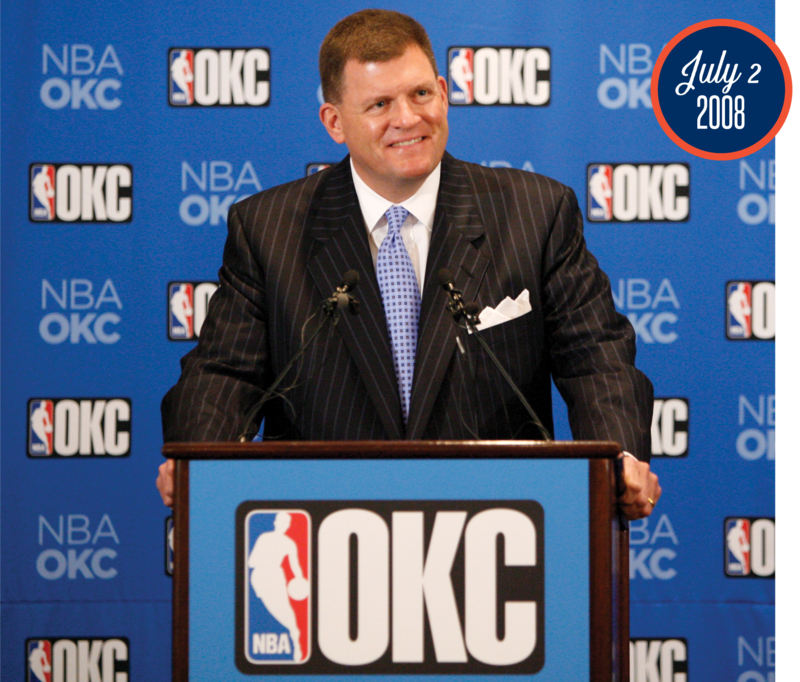 “All I can think of is how this incredible group of young men has unified this city and this state as never before,” Thunder Chairman Clay Bennett said. 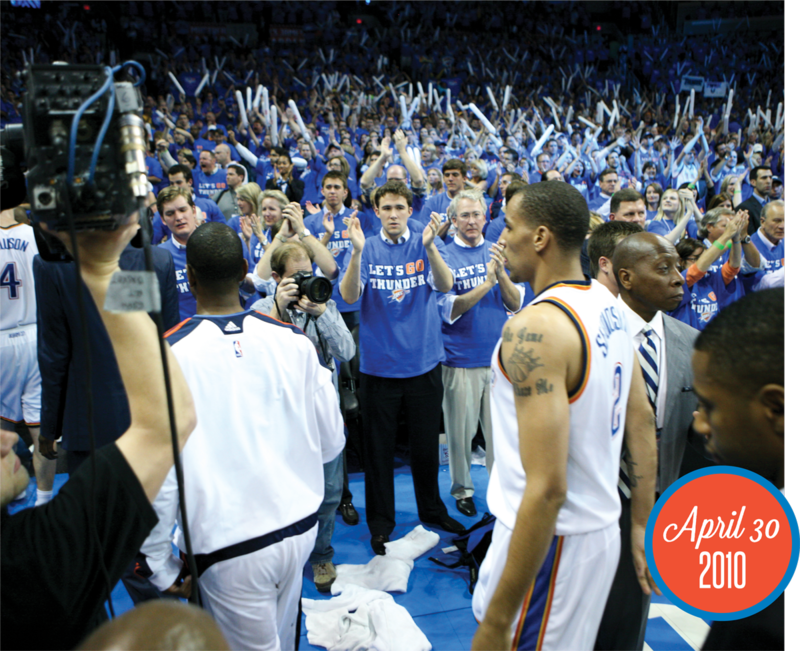 When a series of devastating storms tore through Moore and El Reno, they tore through our team’s heart as well. The scale of the damage and loss of life that came with the series of tornados and floods that touched Central Oklahoma in May 2013 was completely unprecedented for our state. 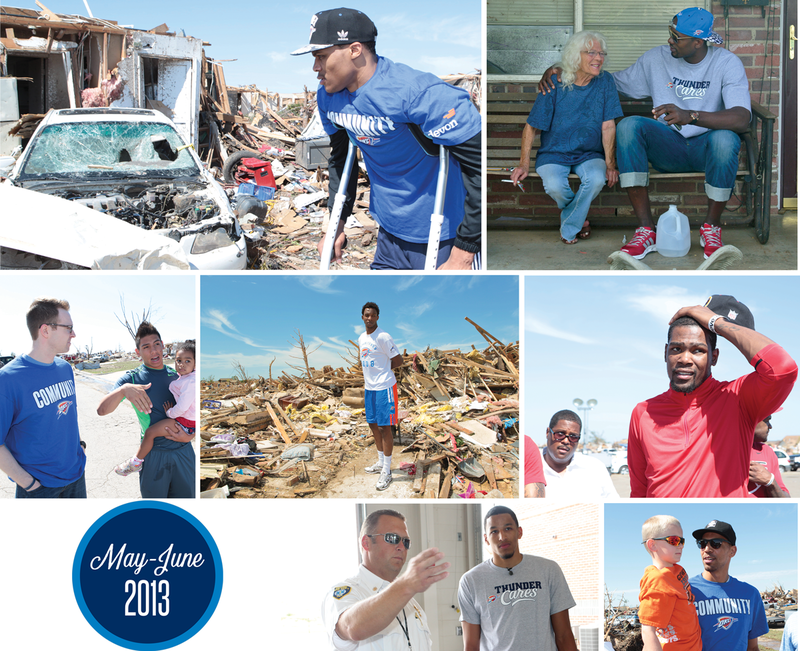 The Thunder responded not only financially, but also by volunteering to assist the following days, weeks and months. The Thunder and Kevin Durant each donated $1 million to the rebuilding effort, and numerous players – including Russell Westbrook, who was on crutches at the time – made their way to the area to meet with first responders and visit with residents trying to pick up the pieces. The rebuilding effort would include a total of four outdoor basketball court dedications the following October through the Thunder Cares Foundation. The team also held its annual Blue & White Scrimmage in Moore. Russell Westbrook shows his commitment and loyalty to the Thunder by signing and extension over the summer. “I am grateful to extend my contract with the Thunder and continue to play with the only organization that I have played for and have loved being a part of since I was drafted into the NBA,” Westbrook said. 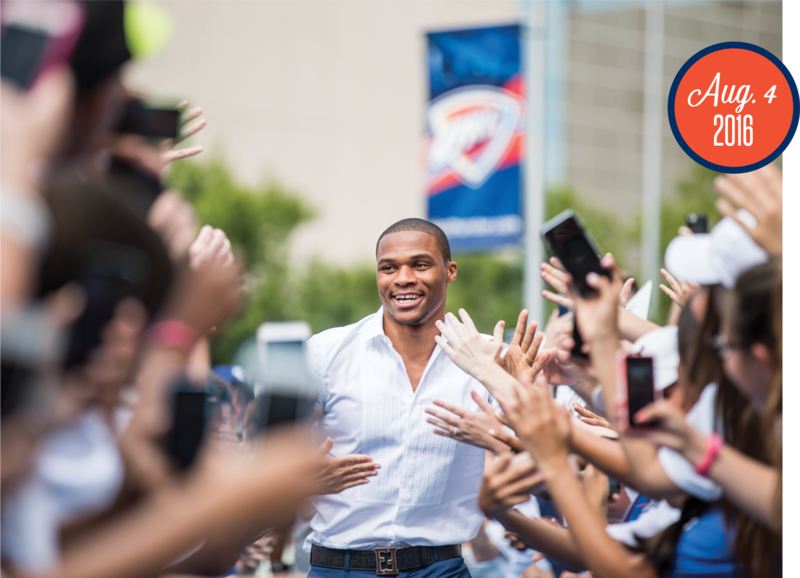 “I’m really excited about moving forward with this group of guys and continuing to play in front of the best fans in the world.” Just over a year later at the start of training camp, Westbrook would sign another multi-year extension, reaffirming his long-term allegiance to the organization. 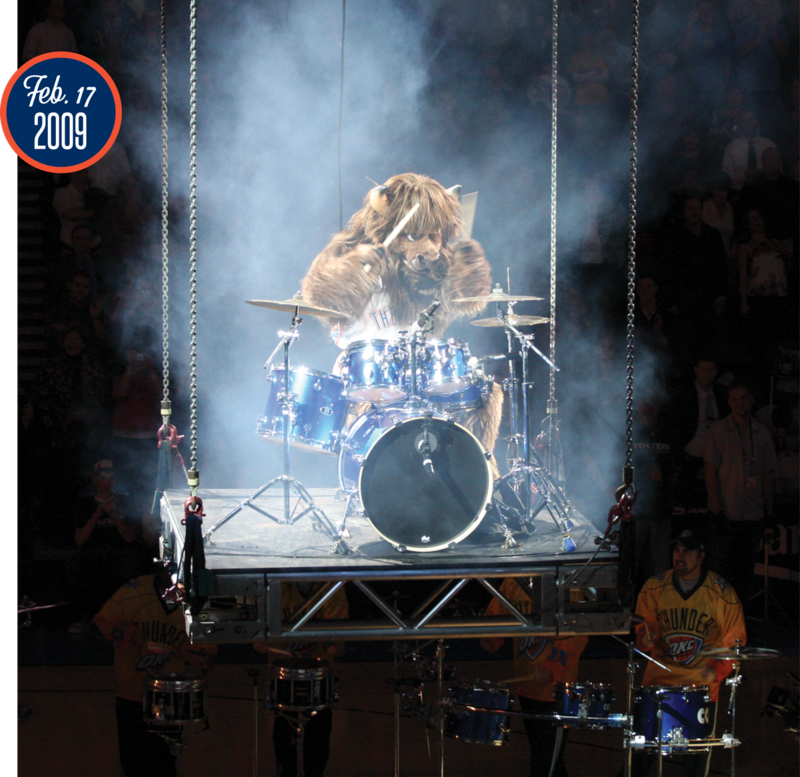 A star is born as Rumble the Bison makes his OKC debut, playing a drum solo on a 10-foot platform lowered from the arena’s catwalk. “Rumble is very versatile and will appeal to fans of all ages on and off the court. Thunder fans are in for a real treat as they are entertained by Rumble, and we have no doubt it will be a fan favorite for years to come,” said Thunder Senior Vice President Brian Byrnes. 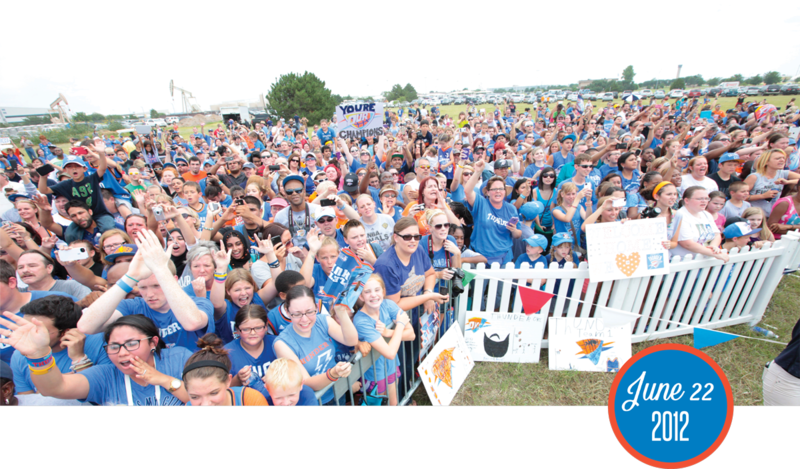 Six months later in Las Vegas, the lovable bison was awarded the NBA Mascot of the Year in recognition of his work with the Thunder at various community events throughout Oklahoma City.